Before we start talking about art ideas, we welcome new students and introduce them to the groups. There are always volunteer students that do an induction and help new students to find their way in the studio and to hand out name clips. Everybody wears a name clip in the first week so that new students get to know everybody’s names. 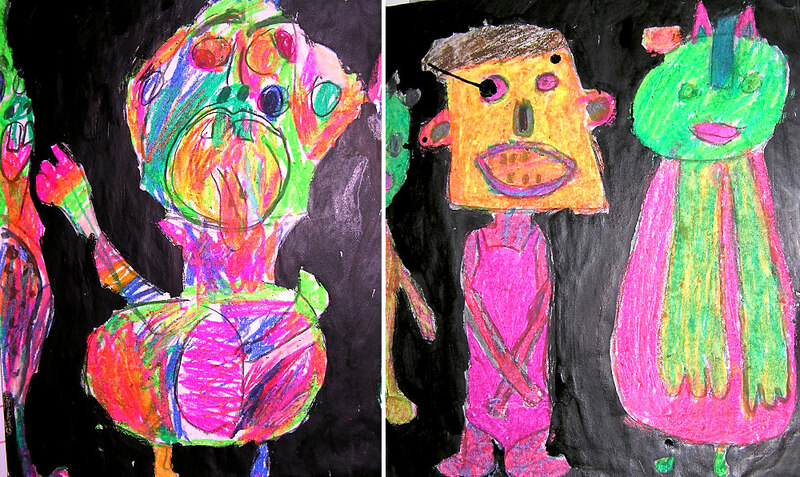 We review the rules of the art room, our art practice and our discipline and protocols. 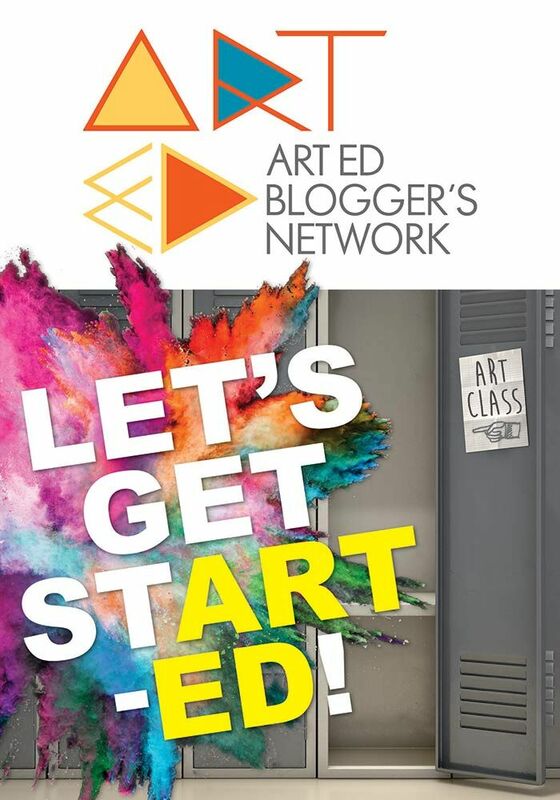 I believe that every teacher has different art practices in their art rooms, so I would prefer to describe some of the popular activities we start with. 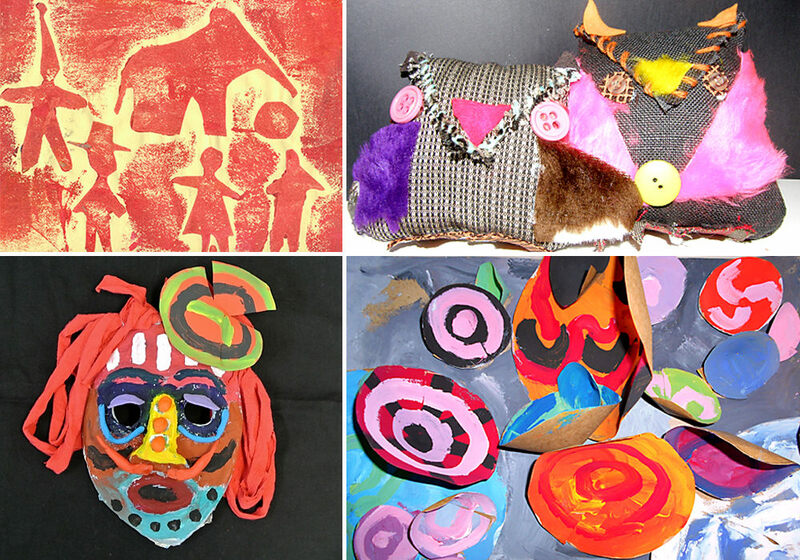 There are several ways to start the new school year, but we like to start with clay. Clay is the art technique that everybody loves and can be done with different age groups. This clay modelling project will take between two or three weeks, but it is worth it, as students have the opportunity to create a character based on concepts like exaggeration and facial expression in 2 dimensions and 3 dimensions. We combine clay with drawing, that is, when the clay models are finished, students will set them up in groups on their tables to draw from them. This project can be adjusted to different age groups and abilities. 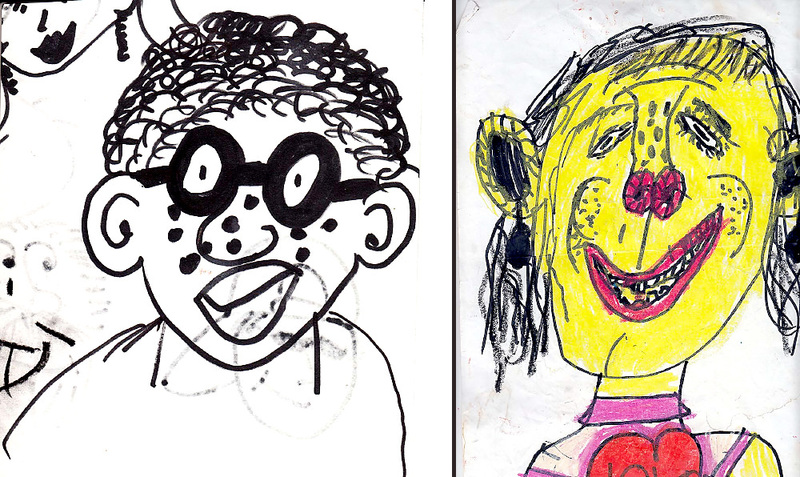 Students are encouraged to make preliminary drawings of cartoons on small pieces of paper using black pens before they start the clay work. whatever you would like to make. Another idea is to start with something that is very small but also fun and different. 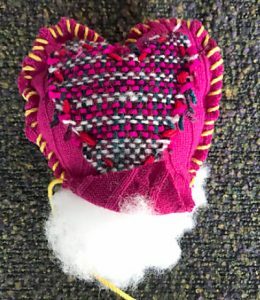 Textiles, are popular, students can make small things like friendship hearts, friendship cushions and bags. It depends on the age group of the students. 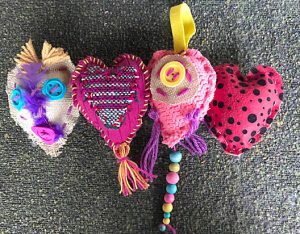 The friendship hearts are a good thing to give to each other and “to break the ice”. They are easy to make and it will take only one session, first day. 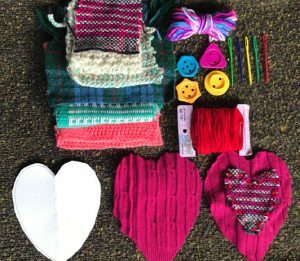 Materials for these textile ideas are cheap and easy to find from scraps around home, the classroom and op shops/charity shops. 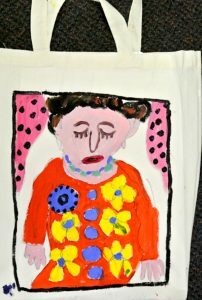 Painting on calico bags is also a popular activity, it takes only one session. Matisse’s paper cutouts is another popular project to start the year, especially with older students. 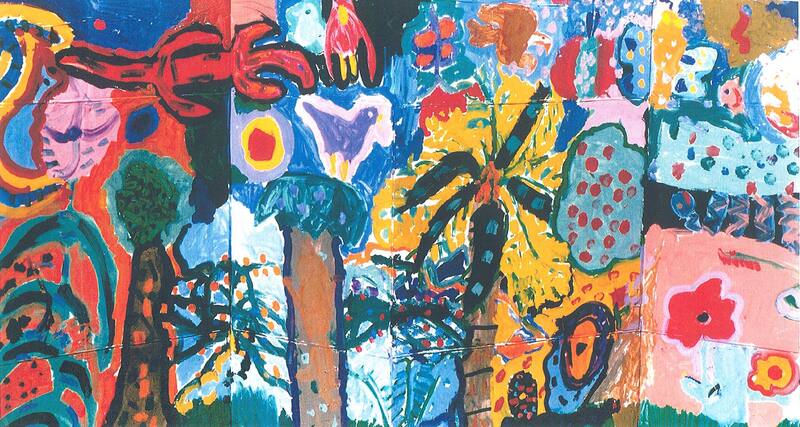 Students learn to mix colours by painting their own papers, to draw and cut shapes and to create a composition. 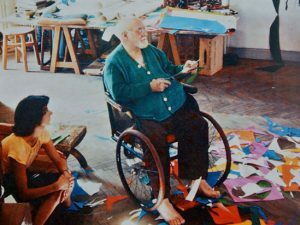 Students will also learn about the different ways Matisse was inspired to do his paper cuts, sometimes he was inspired by Nature, some other times by people and movement. Note: the samples show paper cutouts done with pre-painted papers by the students, but commercial coloured papers can also be used.